Want to whip your shed into shape at next to no cost? 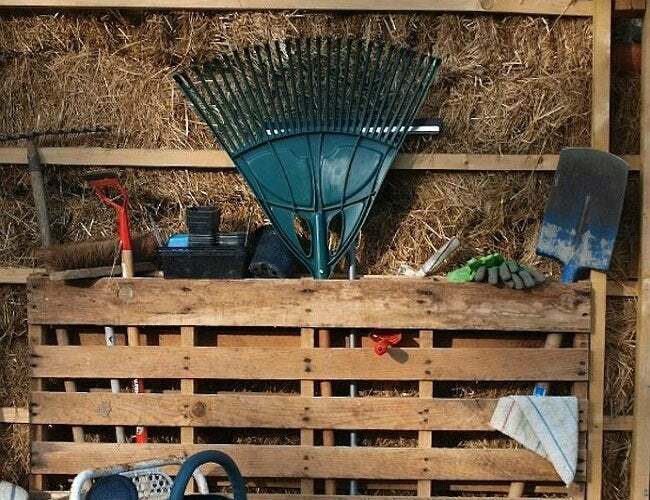 This pallet project offers lots of organization for your bulkiest of garden tools, for only a little bit of effort. Among shots of cats napping on windowsills and family vacations, there’s a wealth of DIY ideas on Flickr. This one, shared by Nic Robinson, shows a perfectly simple addition for a shed that lacks built-in storage. You might even have the necessary materials stashed in your garage left over from your last pallet project! 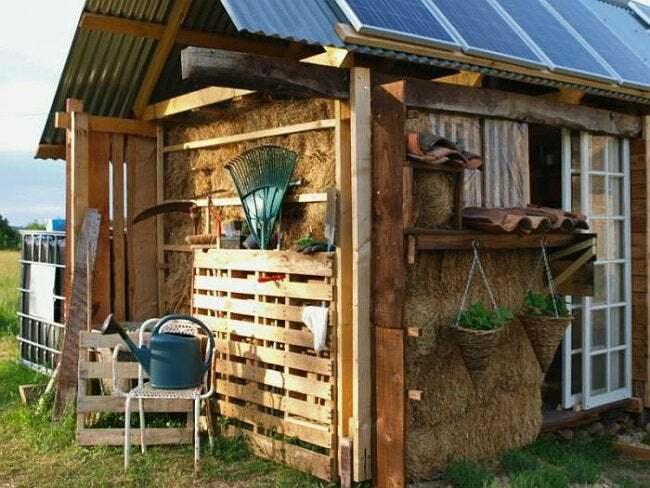 While pallets are often broken down for wooden slats or used together as building blocks in a larger construction, the beauty of this truly clever design is that it relies on a single, intact pallet and requires no additional construction. So long as you stand it so the outside slats run horizontally, this structure is ready to corral outdoor tools. If you don’t already have a pallet on hand, you can often pick one up for free at most garden, grocery, and home improvement stores, if you ask nicely. While you’re out, purchase some wood screws—they’re the only other materials you’ll need for this project. Once you get the pallet home, remove any extra nails and sand down splintered edges until the wood is smooth. Then, grab your drill and secure the pallet to the wall with the wood screws. It’s that easy! Store rakes, shovels, and brooms in the shipping pallet’s hollow center. And don’t forget about the horizontal slats! You can use those to hang garden gloves and a rag—handy in the unlikely event you break a sweat finishing this DIY.